Mark Guertin is a database, programming and integration specialist with a strong technology background. As the former Technology Manager for the world class design firm Bruce Mau Design Inc. Mark had the opportunity to both work on and consult for projects for some of the most recognizable technology brand names in the world including Samsung and Intel as well as playing active rolls in the development of web strategies for companies such as Interactive Corp (Expedia.com, Ask.com, Match.com, Ticketmaster.com) and Skidmore Owings & Merril LLP. During this time he also designed and implemented technological feats such as synchronized, multi-screen Hi Definition video installations, and managed the technical aspects of the critically acclaimed Massive Change Exhibition. Mark has also developed, implemented, managed and maintained custom e-commerce systems and EDI integration tools for some of the world's largest food brands including Evian and Coca-Cola, providing them with a Point of Purchase materials based ordering system used internationally by both brands. Specializing in cross platform integration and development (Mac OS, Windows, Linux, BSD, Unix) and high level consulting and service he has also had the opportunity to work with clients such as CBC, UPS, IBM and The National Ballet of Canada. Mark has a very long history of Linux and Open Source development. He held the role of Lead Developer for the PowerPC port of Gentoo Linux for two years. 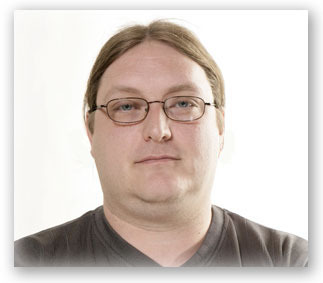 During his time there he coordinated and built new system releases for multiple architectures, managed a team of international developers, performed Quality Assurance and assisted in design strategies, programming and implementation of low level components such as distribution methods, the internal build system, customization tools, developer tools, system installation methods and both developer and user documentation. He remains very active in the Open Source community, currently hosting and assisting in programming for sites such as penguinppc.org -- the official Linux for PowerPC port page, and a kernel auto compiling system at ppckernel.org.